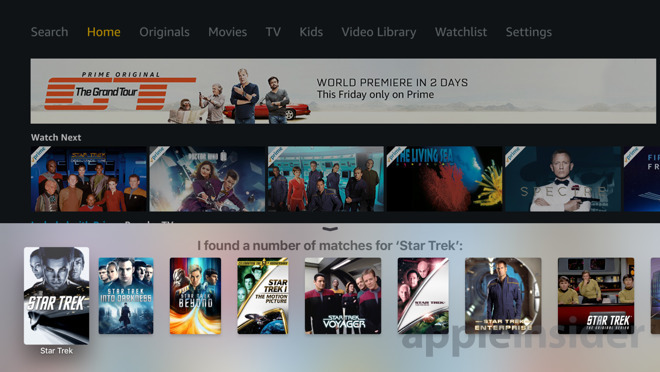 Amazon has gone with the user interface it prefers when it developed the Prime Video service for the Apple TV. But, using Siri, you can skip most of the interface oddities on the Apple TV. 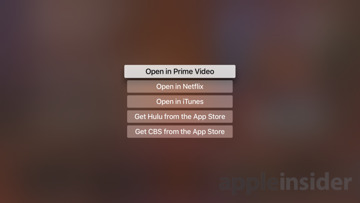 At launch the Amazon Prime Video app doesn't automatically connect with the TV app. In our trials, the first time you ask a video to play, the device will pop up a dialog box, asking the user to connect to the app. 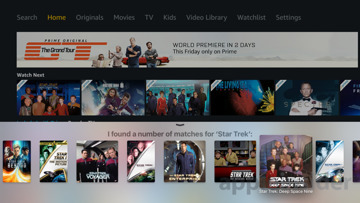 After approval, users can search Amazon Prime Video offerings, and any other compatible video service through Apple's app. 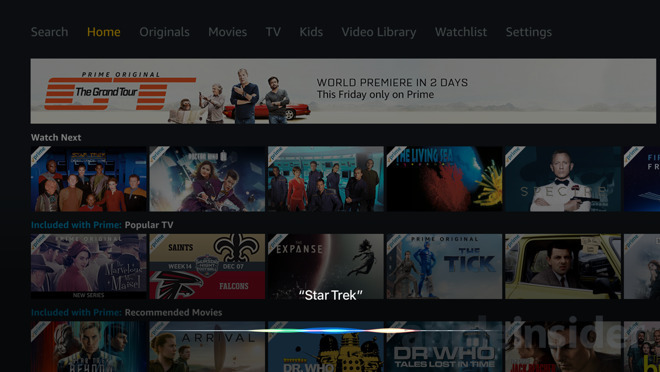 The Amazon Prime Video app is catching a little heat for the user experience —but it is functional. Using Siri search, you can bypass Amazon's graphical user interface. In conjunction with the TV app, there is little need to set foot in any company's vision of an ideal interface. Something like "Star Trek" is available across many series, and many more services. 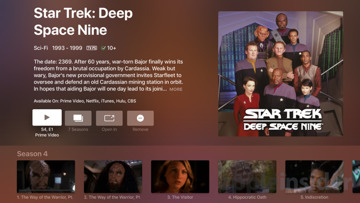 At any point, in any app, you can hold down the Siri button —the microphone —and search simply for "Star Trek" or for something more specific like "Star Trek: Deep Space Nine." The TV app will display a list of matches, and it's up to you to flick your way through to pick what you want. 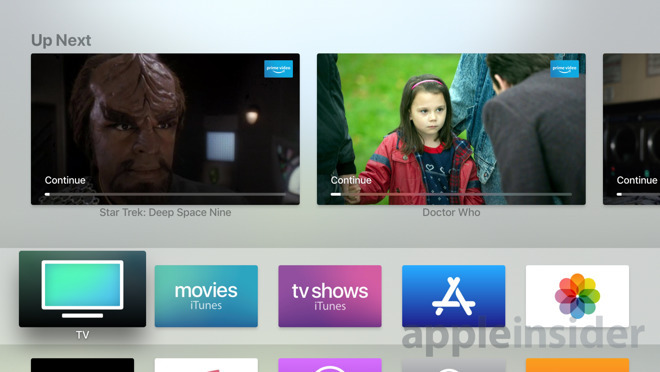 When you settle on a particular "Star Trek" generation, be it prequel, next, or original, the Apple TV will display a list of apps you can watch the content through. There are some limitations of Siri search through the TV app, though. Content stored on a shared computer with Home Sharing isn't rifled through. Additionally, while iTunes content can be searched, there is no filter for purchased or content that is merely available. Siri also has the ability do searches like "find new movies in 4K" or refine existing searches by actor, time period, quality, genre, or more. And, don't forget, that Siri still allows you to say "What did he say" or "What did she say" to rewind the video about 10 seconds, and turn on subtitles.